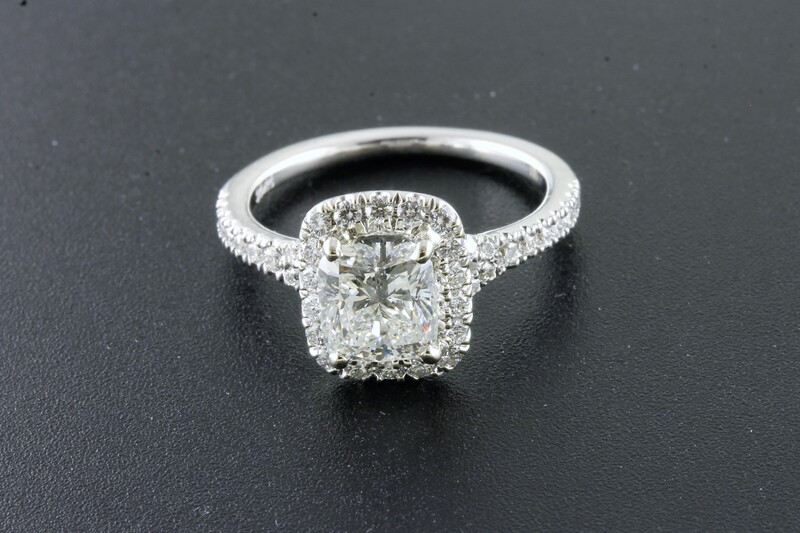 A stunning cushion cut diamond 1.50ct surrounded in a twinkling halo of diamonds set in precious 18kt white gold. 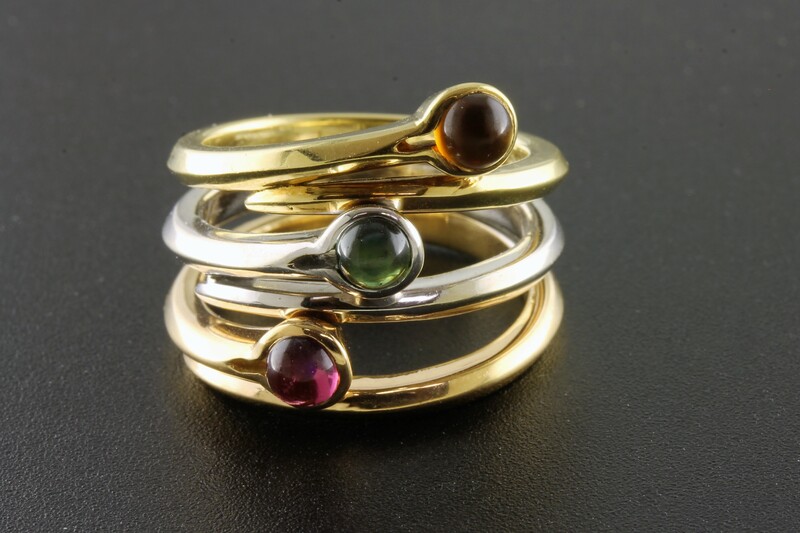 This unique piece has the "stack" design and is set with lovely polished cabochon gemstones. 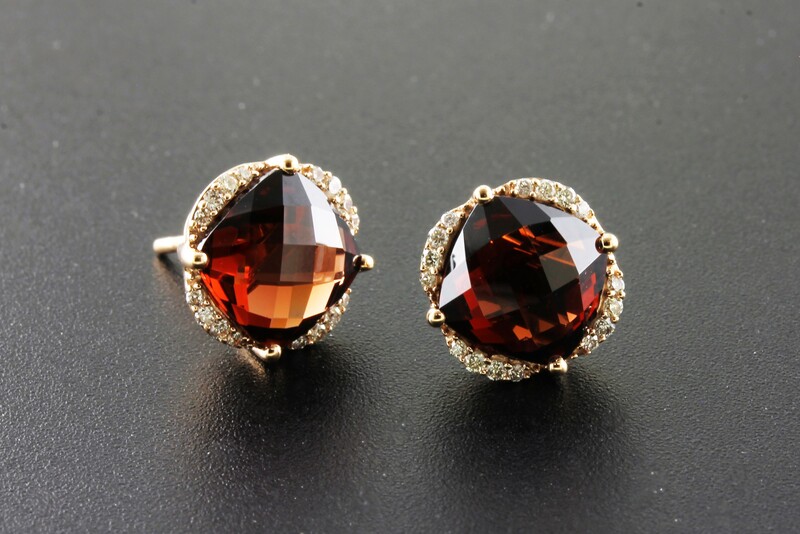 Scrumptious cushion cut garnets with delicate diamond accents in 14kt rose gold. 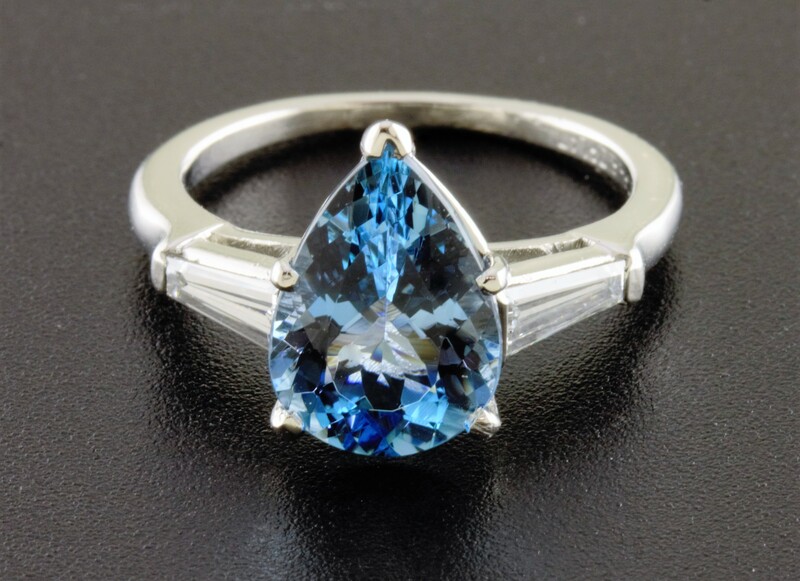 A deeply saturated blue green color makes this aqua stone really stand out. 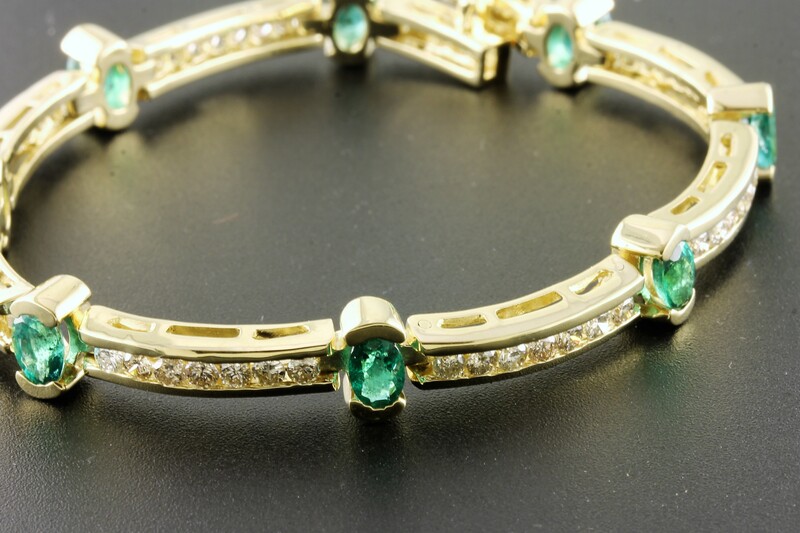 The diamond baguettes flanking the pear shape aqua add a touch of class. 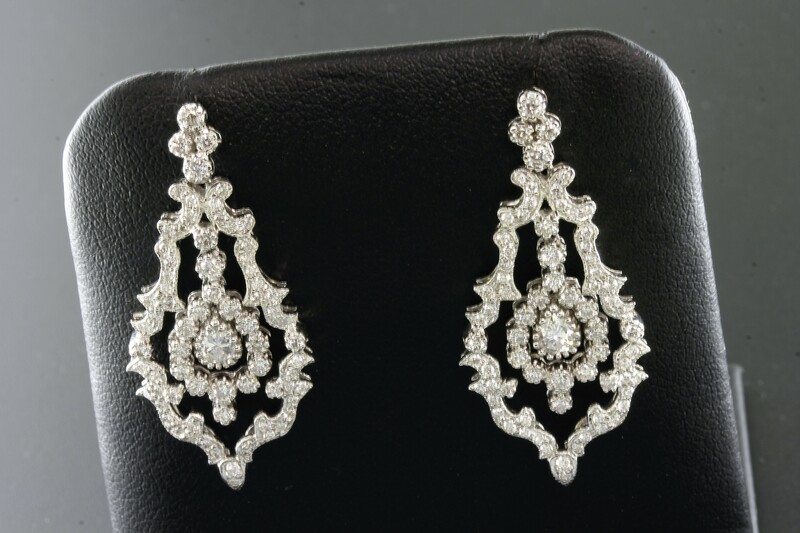 Make a statement in these glittering beauties! 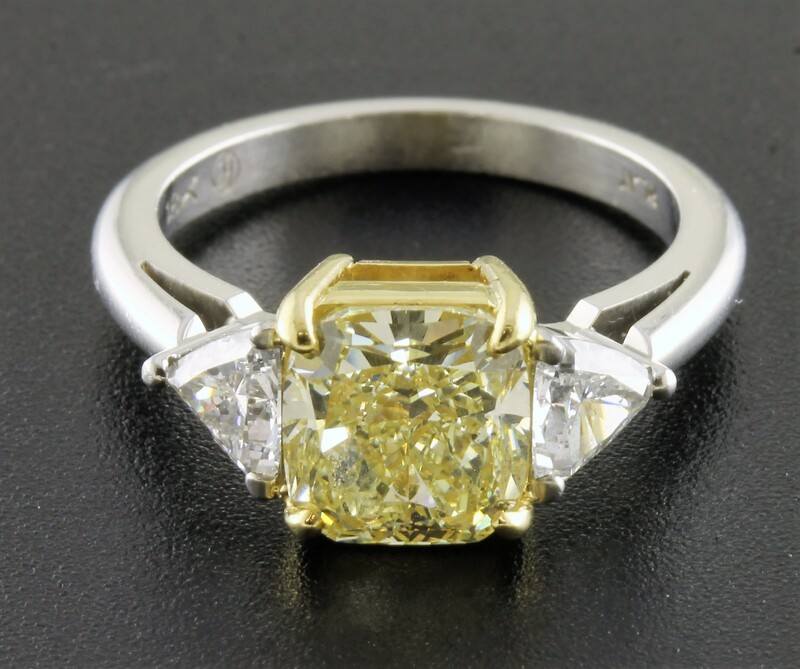 This radiant cut fancy yellow diamond is a show stopper! Very elegant and well proportioned. A striking piece set with diamonds at each hour mark, this 14K rose and white gold watch is not for the modest. The Swiss made manual mechanical movement features dual hour/minute and seconds dial. 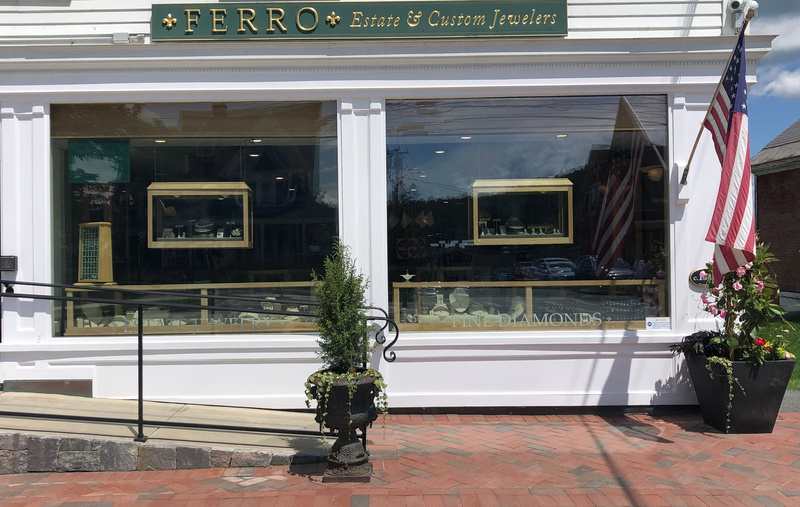 A strong, sturdy clasp will give you worry free wear. 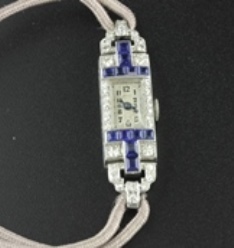 Elegantly adorned with French cut sapphires and round cut diamonds, this platinum cased watch is a true gem of the Art Deco Era. This circa 1920's timepiece is a hand crafted, 15 jewel Swiss manual wind movement for precise time keeping. A very stylish contemporary piece. 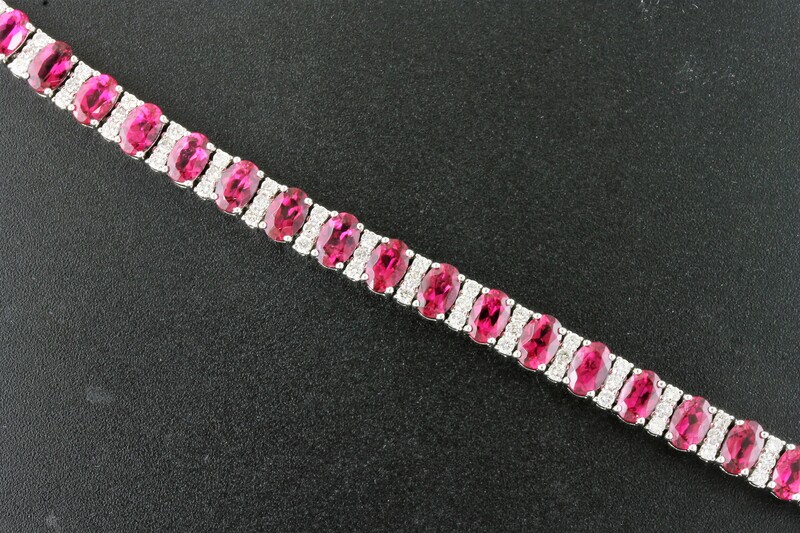 These pink tourmaline look absolutely luscious next to the delicate twinkle of diamonds. 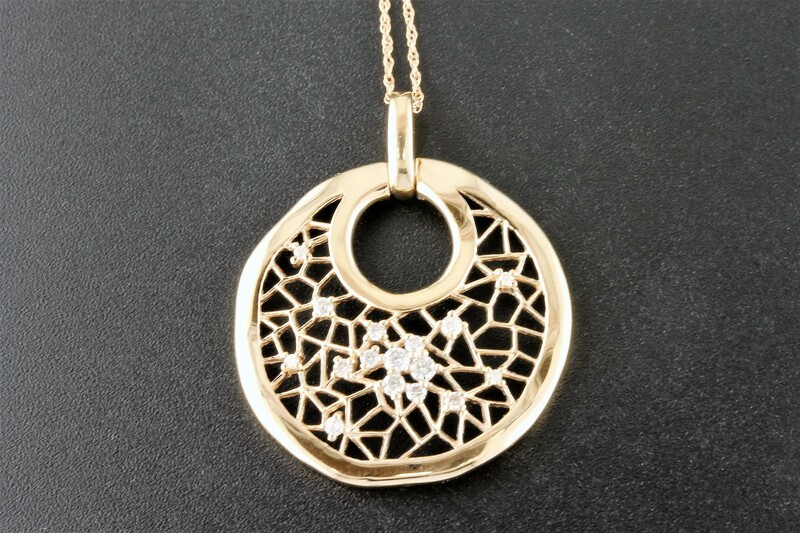 A unique design with an organic look, this pendant incorporates rose gold with a subtle touch of diamonds. Solid 14K yellow gold encases this Swiss made manual ladies watch with hinged cover for the face. The 6.5" bracelet adds to the appeal making a bold fashion statement with its over sized contemporary links.